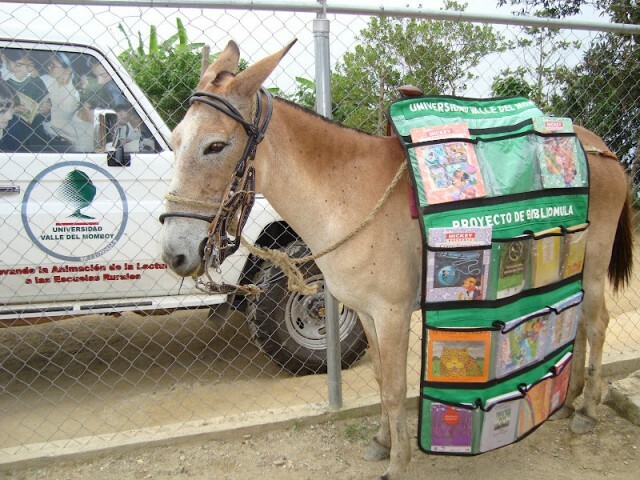 Bibliomulas (book mules) are mule-borne bookmobiles that transport books to remote villages in Venezuela. 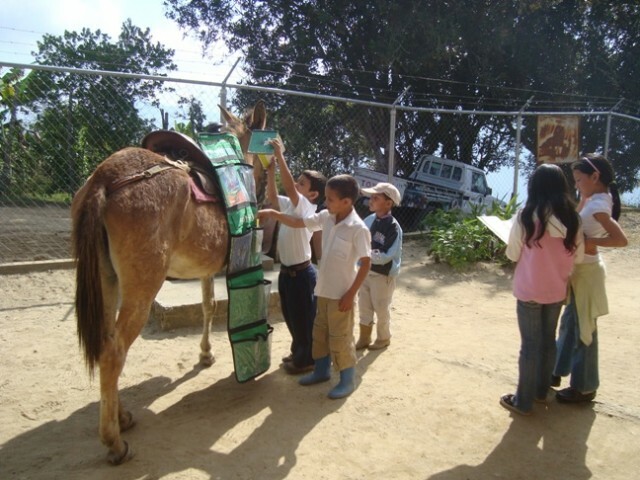 The project is by the University of Momboy in Venezuela. For more info see this 2007 BBC article.